Coloured malt provides the home brewer with a vast array of options to play with the colour and flavour of the beers that they brew. In this era of home brewing it often seems like the hop is the king and malt, seen as a poor relative, gets relatively little coverage. To redress the balance I thought it was a good time to look a little deeper in to malt and the malting process starting with this brief guide to coloured malt. Describe what coloured malts are. Detail how coloured malt is produced and the different production techniques required. Detail the characteristics of the main types of coloured malt and their typical addition rates. There is a bit of ground to cover so let’s not delay any further and start with answering the question what is coloured malt? It is a bit of an odd statement to describe a group of malts as coloured because all malts contribute colour to a greater or lesser extent. For example pale malts such as lager and ale malts have colour. In the case of lager malt this can be anywhere between 3 – 5 EBC (1.5 – 2.5 SRM) and ale malts anywhere between 4 – 10 EBC (2 – 5 SRM). But I consider coloured malts to be those that contribute significant levels of colour to beer. In that respect I am discounting malt types such as Vienna and Munich malts which, although contribute more colour than pale malts, can also be used to provide a significant proportion of extract. For me coloured malts are those malts that are added for their contribution to colour and flavour rather than their contribution to extract potential. I would also add that coloured malts typically involve some kind of roasting process at temperatures greater than 100°C. This means that coloured malts have little if any enzyme potential and therefore have to be used in conjunction with some sort of pale malt. Now some of you may disagree with what I have just described as a definition of coloured malt but lacking any other formal definition I think this broadly sums up what constitutes a coloured malt. How are coloured malts produced? I won’t dwell on the first two stages too long as I will cover them in other articles. Instead I will focus on the kilning stage. Kilning is the process by which green malt, at up to approximately 40% moisture, is dried down to give the finished malt at anywhere between 3 – 6.5% moisture. In the process a lot of heat is applied to drive off the moisture and this heat gives rise to flavour and colour. Very broadly the more heat you apply the more colour and flavour you are likely to create. With coloured malts there is an additional roasting stage which is typically carried out in a specialist roasting kiln with small batches, up to 2 tonnes, of green malt or finished malt. 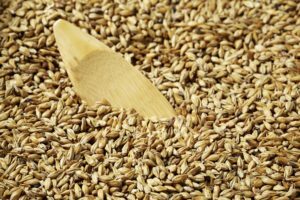 It is worth focussing on the last couple of words in that last statement – green malt or finished malt – as this defines the differences between our two major types of coloured malts crystal malt and roasted malt. Let’s look at that in more detail by considering the production of crystal malt first. How is crystal malt produced? Crystal malt is a very special type of malt and requires a lot of skill on behalf of the maltster to get it right. Crystal malt is actually made from green malt, which is malt that is still “wet”, at usually 40% moisture, and is also still germinating. The first stage of crystal malt production involves holding the green malt in the roasting drum at a temperature of around 65°C for a period of “stewing”. At this temperature, a temperature you would recognise from mashing, the starchy endosperm is saccharified, that is the starch is converted to fermentable sugars by the enzymes present in the grain. Once the maltster deems sufficient conversion of the endosperm has occurred they will gradually increase the temperature in the roasting drum. The temperature in the roasting drum can get up to 250°C and as the temperature increases a number of reactions occur in the endosperm. For example the sugars and proteins, present in the endosperm, react in the presence of heat to create highly coloured and flavoursome compounds. Finally at the correct temperature the endosperm crystallises to give the characteristic endosperm structure that gives rise to the crystal malt name. The colour of crystal malt can vary from as little as 100 to as much as 400 EBC depending upon the amount of modification that occurs during the “stewing” phase and the temperature applied during roasting. 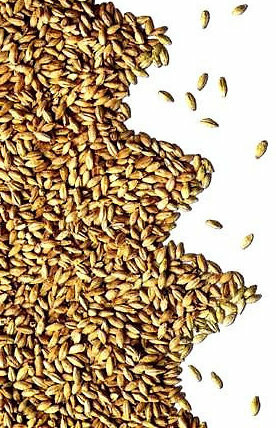 At the end of this article we will compare and contrast the various crystal malt products but suffice it to say don’t be fooled into using a high coloured crystal malt at a lower inclusion rate, to achieve the same beer colour, rather than use a low coloured crystal malt at a higher inclusion rate. The process of creating a higher colour crystal malt involves higher and longer roasting temperatures which greatly changes the flavour profile of the finished malt. Therefore using 5% dark crystal malt to achieve the same colour instead of 10% light crystal malt will significantly change the colour and flavour of your beer – but more on that later. Having considered crystal malt production we can now focus on the other group of coloured malts which are produced by roasting finished malt to achieve a high colour. How are roasted malts produced? As mentioned above roasted malts are different from crystal malt because they are produced from malt that has already been dried. This gives rise to a very different malt type. Roasted malts include – Amber, Chocolate, Black malt and roasted barley. Again it takes a lot of skill to produce these malt types because of the moisture content of the malt and the temperatures used in roasting to create the colour. It is true to say that if done incorrectly roasting can go catastrophically wrong. For example the combustion temperature of malt is approximately 230°C. Therefore if the temperature of the grain goes much above this temperature there is a very real risk that it will burst into flames. To achieve the colour in chocolate malt, black malt and roasted barley the roasting temperatures are greater than 200C and often hit 230C. There is therefore a lot of skill involved in getting the roasting right to hit the desired colour level without reducing the roasting drum and its contents to a smouldering ruin! The roasting process is actually very simple. The dried malt is fed into the roasting drum and the temperature is gradually increased to facilitate the generation of colour. As the final roasting temperature is reached samples are taken from the roaster and visually inspected for colour. Once the desired temperature is reached the roasting is terminated and the coloured malt discharged to allow it to cool. It is worth looking at the different roasted malt types to contrast the differences between the roasting procedures. 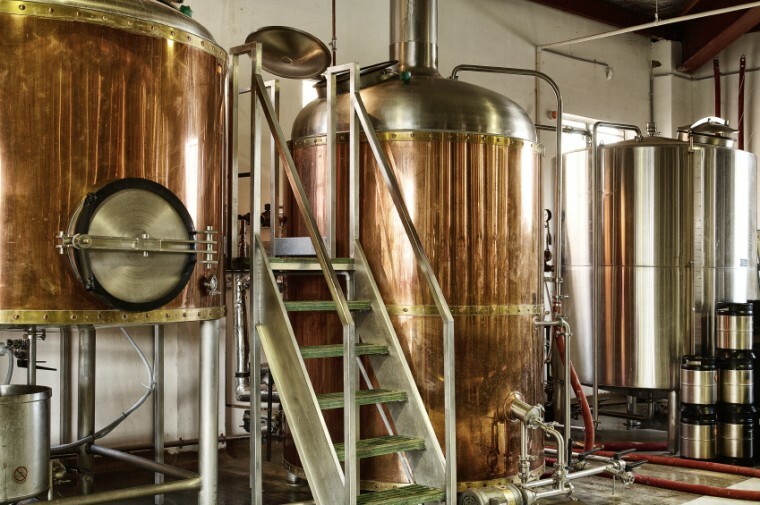 Amber malt is produced by rapidly heating finished malt to temperatures greater than 100C and then allowing the temperature to gradually rise to up to 150C to allow colour to form. The typical colour of amber malt is between 40 – 60 EBC (20 – 30 SRM). Chocolate malt is produced in much the same way as amber but the temperatures utilised are significantly different. The roasting drum temperature is increased to up to 230C until the correct colour is reached. During the roasting process quench water can be sprayed onto the malt to allow it to cool slightly and prevent it from combusting whilst still allowing colour to form at the higher temperatures. The typical colour of chocolate malt is between 900 – 1100 EBC (450 – 550 SRM). Produced in much the same way as chocolate malt the dried malt is roasted at higher temperatures for a prolonged period of time to achieve the higher colour of black malt. The typical colour of black malt is between 1200 – 1500 EBC (600 – 750 SRM). Roasted barley as the name suggests is a roasted product made from raw barley rather than from finished malt. Roasted barley is made in much the same way as chocolate and black malt with high roasting temperatures applied to achieve the desired colour. 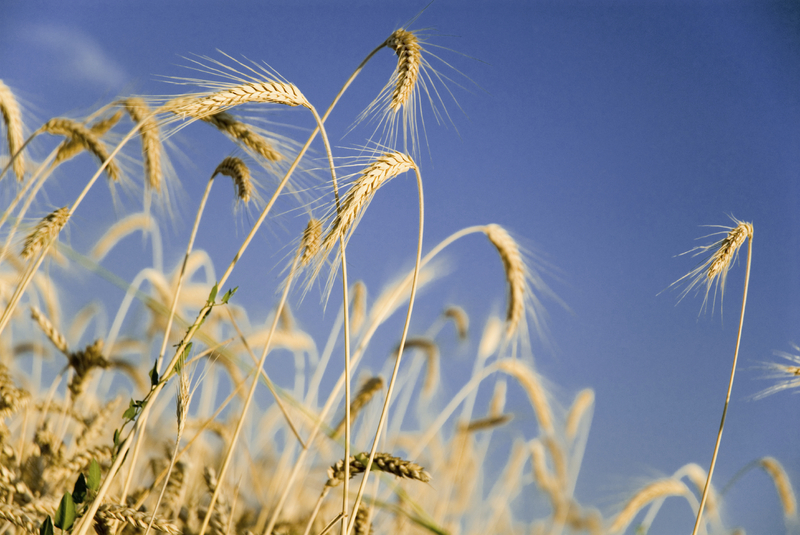 The typical colour of roasted barley is between 1200 – 1500 EBC (600 – 750 SRM). Below is a table that summarises the various coloured malts, their colour range, extract potential and flavour characteristics. Light Crystal 80 - 110 40 - 55 280 Grainy, cereal, biscuit, green, fruit cake. Medium Crystal 110 - 200 55 - 100 280 Grainy, cereal and biscuit like with more burnt fruit than light crystal. Dark Crystal 200 - 400 100 - 200 280 Burnt fruit, sweet, coffee bitterness, astringent. Black 1200 - 1500 600 - 750 260 Burnt, bitter, astringent, coffee grounds. How much of a particular coloured malt do I need to use? Typical inclusion rate of 5 – 10% however, crystal malt can be used up to 20% in bitters and 30% in milds. Can be included at quite high levels but due to low enzyme content needs to be mashed with a pale malt with high enzyme levels. The key is experimentation. Try working out a grist recipe, brew the beer and if it is good stick with it, if not tweak the recipe accordingly. Ultimately you will have fun on the journey. If you would like to discover how to create your own recipes check out our series of articles on how to create your own beer recipe. As always if you have any questions or comments please either email me or leave your comments below.